Second session of online training for AOC 2019 on "Altair Inspire". 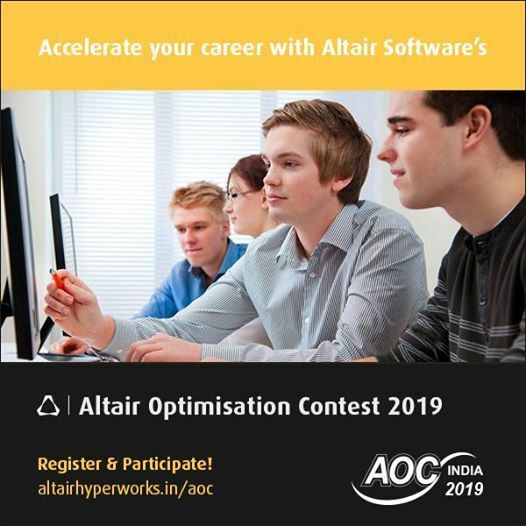 The 8th edition Altair Optimisation Contest (AOC 2019:India) is a contest organised annually by the team of Altair in support of engineering education in India. The competition is open to engineering students in the field of Mechanical, Automobile, Aerospace, Civil & Production Engineering pan India.